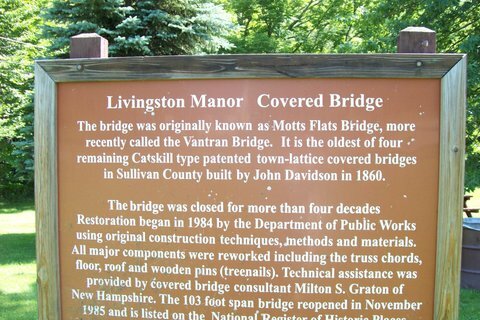 The Van Tran Flat Bridge was originally built in 1860 by John Davidson, it is not yet listed on the National Register of Historic Places. 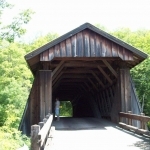 It is located in the Town of Rockland in Livingston Manor, north of State Route 17 and south of Livingston Manor. 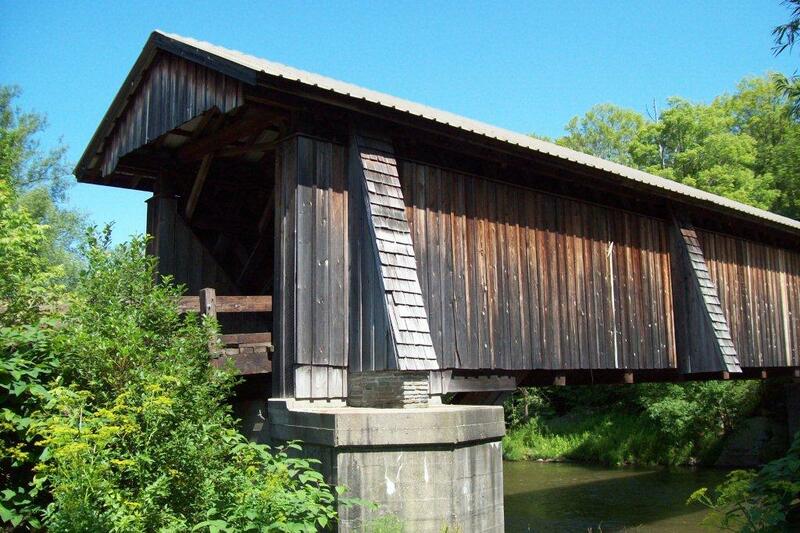 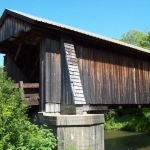 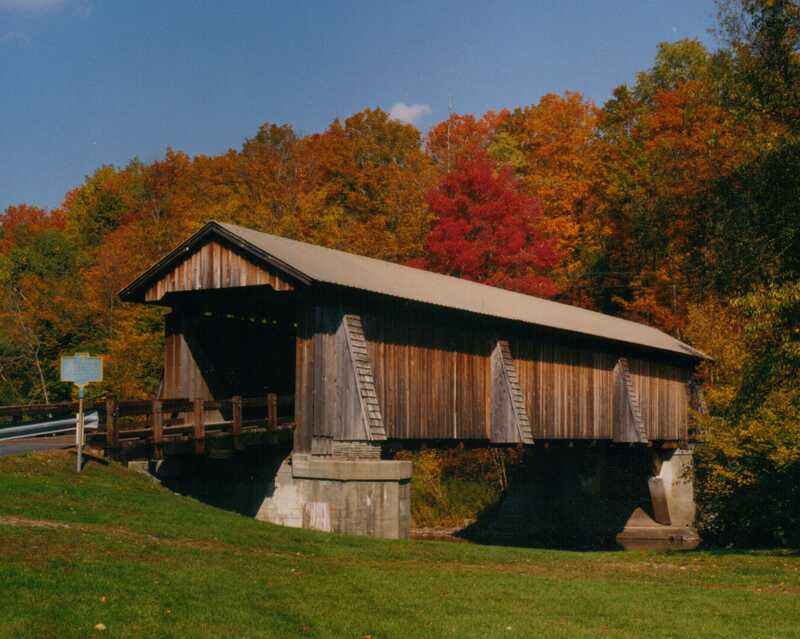 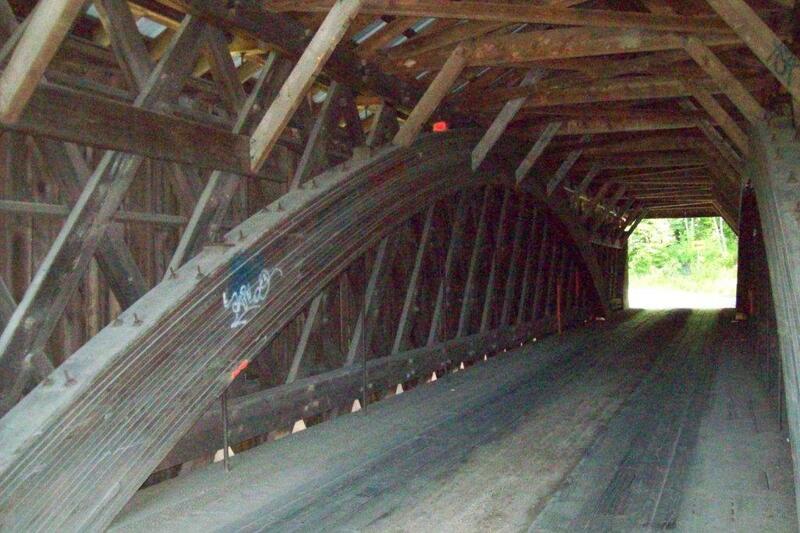 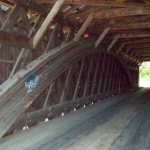 It is over the Willowemoc Creek, a single span of 117 feet built of Town truss with a laminated arch. 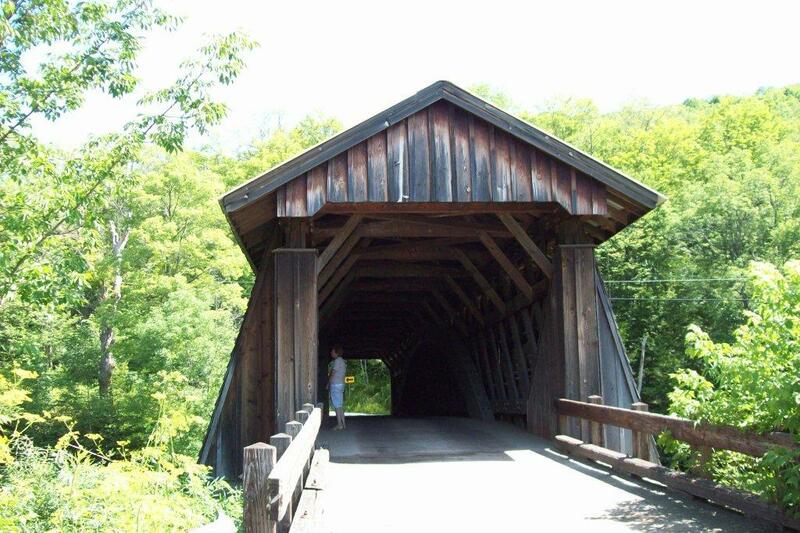 About 1 mile from Livingston Manor on old State Route 17, turn left and go 0.3 miles to the bridge. 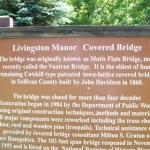 OR Get off Route 17 at Livingston Manor (Exit 96? ), take a right off the exit go about 1/2 mile and turn right onto old State Route 17, this is County Route 179, go for 1 mile, turn left and soon you will see the portal of Van Tran Flat Covered Bridge.